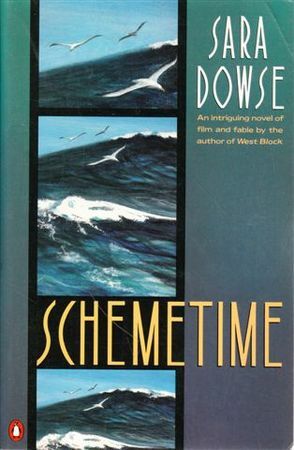 What Sara Dowse didn’t know when she recently commented here on her love-hate relationship with Los Angeles was that I was in the closing stages of reading her novel, Schemetime, set there. I’m somewhat embarrassed to say that I’ve had this novel since Christmas 1990 when I was living in the LA area (in adjoining Orange County, in fact). For some reason, I didn’t read the book then, and it has been sitting on my TBR pile ever since, along with several other novels by Aussie writers from the 1980s and early 1990s. It was interesting to read a book in 2014 that was published in 1990 but set mostly in the late 1960s. This is not a unique situation of course, but most books in my TBR pile are set around the time they were written. Why then was this one set a couple of decades before it was written, making it a “bit” historical, but not really? I think it’s because the late 1960s was an exciting time, politically and socially. It was the time of the anti-Vietnam War movement, a time when high ideals were being vigorously tested against commercial imperatives. Where better to set such a novel than in LA – using the film industry as a framework? I love this prose – so crisp, so clear, so evocative, and yet so provocative too. But now to the plot. Schemetime concerns an Australian filmmaker, Frank, who comes to LA wanting to make a career in the film industry, a quality career, though, on his terms. Through him we meet a varied cast of characters: refugee film director Mannheim who wants to make artistic films but needs to make commercials and B-grade movies to survive; Frank’s old flame Susan, a physiotherapist and anti-war campaigner, who leaves her Aussie husband for Nathan; this Nathan, a lawyer conflicted about money and his ideals; the black singer-actress, Paula, with her precarious career; and sundry others. We watch Frank as he enlists these characters to help him, practically, artistically or financially, achieve his goal of making a film about his somewhat mysterious father. This is not a plot driven novel, however. It is about LA, but more than that, it is about characters searching for, well, meaning. This may sound clichéd, but isn’t it what most of us seek? What makes this novel not clichéd is the style and structure Dowse puts to her task. Often when we describe a novel as reading like a film script, we are suggesting, usually a little dismissively, that the author has written it with a movie deal in mind. But, when I say Dowse’s book reads like a film script, I am implying something very different. I am implying a complex picture comprising multiple little scenes, that sometimes flow and sometimes jolt us along with sudden changes in perspective, much like a camera can, particularly in an experimental movie. In fact, particularly given its time, I’d say this novel is innovative (or experimental) in structure and narrative point-of-view, in the way it moves between first person narration by Frank, and the third-person subjective perspectives of the main characters. It is, though, highly readable because the language is accessible. The syntax is flexible and the imagery expressive, but they are both comprehensible. There’s another reason why Dowse seems to have chosen Tabu to discuss, and this is its setting, the Pacific. The Pacific is the link between her two lives – her American birth and her adopted Australian home. Its nature is paradoxical, representing different things to different people: to Mannheim, “nothing in the Pacific is quite as real” as Europe; to Susan it is both escape and barrier, “the way to freedom and then the highest wall”. One of my favourite scenes occurs when Frank, Paula and Nathan do a beach-crawl along the LA coast looking for the perfect Australian-looking beach! Various stories and images of the Pacific appear throughout the novel, making it, perhaps, her “poem to the Pacific” like Murnau’s Tabu. Schemetime is a novel of grand conception. Even the title with its hints of schemes, screens and dreams suggests that. I’m not sure I’ve fully grasped all that Dowse intended, and I certainly haven’t touched on all that she raises in this book about “money and love and culture”. I haven’t explored, for example, the rise and fall of Nathan as a hotshot lawyer-investor or the conflicted restlessness of his second wife Susan or the survival skills of first wife Estelle or even the discussions about artists in exile. “The camera”, Mannheim lectures early in the novel, “is no golem … it sees things you cannot imagine”. And so, we find, does Dowse’s pen. Schemetime is a fine read – and one that is as relevant today as it was when it was written, perhaps even moreso. It does, MR … Let me know what you think. Oh, Madame Gums. How can I thank you? So wonderful that you have read this poor baby of mine with such sensitivity, appreciation and understanding. This has indeed been the book of my heart and when it came out hardly anyone here understood it. It was never published in the States because of the recession at the time it came out and fell in a hole here. I’m so glad you saw how experimental it was, its deliberate filmic qualities and the internal cinematic and literary references, not to mention the Chandleresque prose. When writers speak about needing readers … Well, with you it seems my silent prayers have been answered – after all these years. Wow! Perhaps there was a reason I didn’t read it then, Sara. I’m glad you enjoyed the review and that you’re happy I got the essence. I wouldn’t have identified the prose as being Chandleresque specifically as I haven’t read him but it does have a lovely directness, that is often clipped but yes expressive. Great rhythm to it. Why on earth wasn’t it published in the US … And what happened here? When I commented about reading it in 2014 it was because I think some of that narrative technique is more common now but I couldn’t recollect much like it from my reading in the period you wrote it. BTW I loved your epigrams, including one from Philip Mc Deed! Thanks again, Gums. I’d be the last person to give definitive answers about why this particular book wasn’t picked up in the States. I did try to flog it there but showed it to a NY agent and maybe the old east-west dichotomy figured into it. I was told it was because of the recession. And in those days globalisation in publishing wasn’t as strong as it is now. In fact being a writer in a multinational stable could actually work against you; the branches were obliged to take on what other branches offered them but they often did this begrudgingly, as promoting those transfers would eat into their own budgets for country-originated material. As for myself I guess I kind of just lost heart. And it could be that before the advent if ‘cultural studies’ film wasn’t often considered in literature studies. But there was Joyce and his love of the cinema and he was an enormous influence on me and especially this book. I saw it as a sort of Ulysses of the Pacific but was hesitant about saying this (and so too the publisher) for fear of it appearing too difficult and me too pompous(. I suspect that a man would never have had that trouble – in fact it might have been seen as a plus!) Could be too that the modernists were out if favour by then though it seems they’re coming back. Anyway I’m so thrilled you enjoyed it and appreciated it. It did get some appreciative reviews at the time, but the general response was one of bafflement. It also didn’t help that there had been trouble with an editor at Penguin which put the kibosh on it from the start, even though the publisher supported me. But I made an enemy and it definitely didn’t help. Thanks for expanding on this Sara … publishing, such a precarious business. As for that notion of fearing to appear too pompous, you could be right about a man, though I think many readers can be easily put off a book if it sounds “clever” in any way. So much to read, why choose a “clever” book, after all?! Fortunately that doesn’t put off my reading group. One of our first questions when someone puts forward a book that sounds “easy” is, “but will there be enough to talk about”? Re bafflement, I find that interesting too – the style and interesting narrative arc? the subject matter? It is “big” book for its 295pp but the characters are great, and I enjoyed your writing. I can see the Ulysses factor though I guess I was too fascinated by the LA and moviemaking aspects to think about that. I’d love to get a copy. Sara, the story of your publishing woes with this novel is particularly poignant. Sometimes it’s just the wrong book at the wrong time, for any number of reasons. It’s terrible for your work to be overlooked when it isn’t your fault. But all of us who call ourselves ‘writers’ (if only to ourselves) run that risk all the time. Unfortunately, I think that’s true Glen. The book is out of print I believe but I’ve seen it in libraries and I think I saw it on a second hand books site. Yes, Glen. It’s always a risk but believe me it’s worth it to come across a review like this, even nearly a quarter of a century on (can that be? My maths are notorious). You can get the book second hand online and it’s pretty cheap. And most of us write what we can and need to and all we can do is hope for receptive readers. Always grateful when they come along. What a terrific review of Schemetime! I hope your insights and your understanding lead many more readers to this novel! 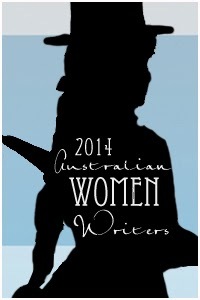 Thanks Dorothy – I hope so too … I’m doing my best (well something anyhow) here and at the Australian Women Writers Challenge at trying to encourage people to read some backlist/older books as well as just focusing on the latest. There I was thinking that this is my sort of read. Went to look at copies available, and then I discovered that I already have this on the shelf. Not since the 90s though. Wow … I wonder how you came to have it on your shelves? I reckon it will appeal to you, Guy. Oh this sounds good! And what a perfect description of LA! I must say it was easier to like LA after I left it behind but I still think about it and scowl now an then. I’ll have to start scouring used bookstores for a copy. If all else fails I can get it through interlibrary loan. What a shame it was never published in the US. It is a shame, Stefanie … Unlike you, I smile more than scowl when I think of LA and SoCal but there is both in it. Lovely review. You know, I think I have “Digging” by Sara Dowse hiding somewhere on one of my shelves. The lovely cover art looks very familiar. In any case, I would certainly put this on my radar when I go to book sales. One never knows what one will find. Always love learning about new (to me anyway) authors. Thanks Grad … I love hearing that. I have read her West Block, but a long, long time ago. I’d like to read Silver City next I think … But I’d have to start checking the second hand outlets. Thanks for a thoughtful and eloquent review, WG, introducing me to Sara Dowse. As you know, living in Western Canada is so remote culturally from everywhere. Schemetime is now on my TBR list. I love how you describe it as a book in search of meaning. No, such an attempt will never be a cliché. Your review makes me think of Walker Percy’s The Moviegoer, well, maybe in a postmodern style. While I’m interested to read this, I’m also curious as to its possibility of being turned into a film. An indie, not Hollywood, artsy and thought-provoking film. You don’t need a U.S. published book to create a meaningful screenplay. Maybe Sara would ponder such a possibility? I don’t know Walker Percy’s The moviegoer, but will keep in mind. I love how this review has brought out those interested in film, such as you, Guy and MR. Thanks for all this. I must get The Moviegoer! You learn so much talking about books! Not sure I’m up to writing a screenplay based on Schemetime, always saw it the other way around. But it’s something to think about in the early morning hours when most of my good thoughts come to me. Haha, yes Sara, sounds like a plan!